You certainly won’t need much extra other than your usual Christmas decorations. 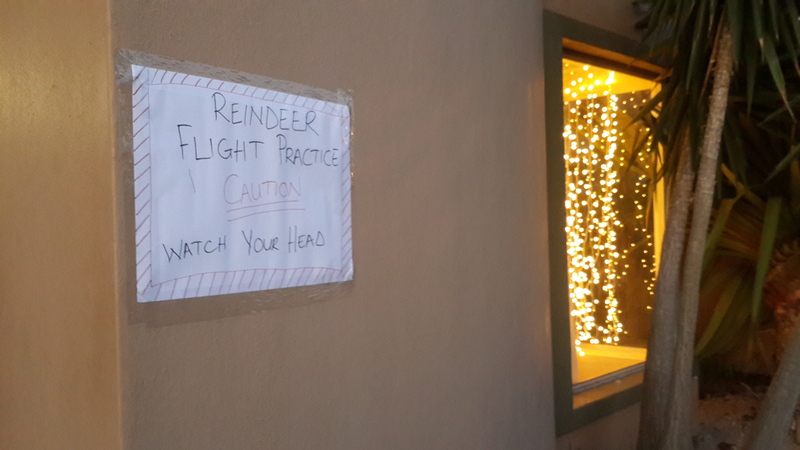 If anything, it would maybe motivate you to put them up (if you’re a usual slow starter). Or like us, you may add one new item every year. -Milk bottles: These pretty milk bottles I picked up from Checkers some time back, and have recently seen colour ones that come with straws too! For the labels that I forgot to attach, you can download this one right here. (Print on A4 using wallet size). Ps. Empty juice bottles could also be used, however, I worked it out: 6 glass bottles at Checkers works out cheaper than 4 plastic juice bottles from Woolworths. 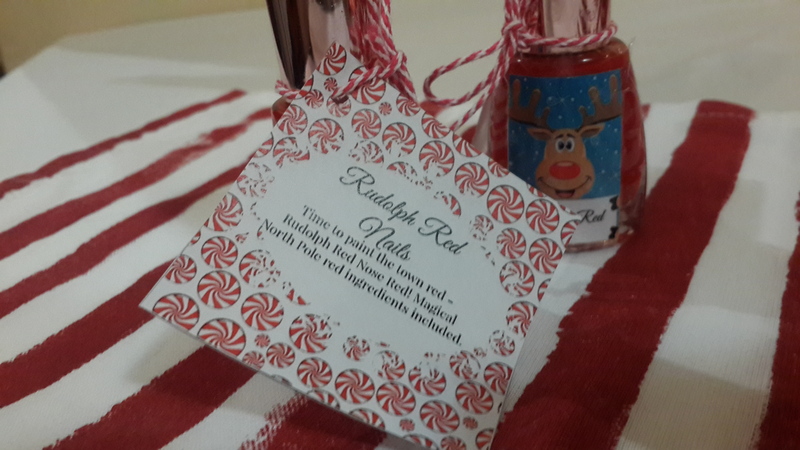 -Candy canes: Good ol’ Woolworths comes through nicely on this one every year. Candy cane straws : I bought a whole bunch last year Christmas and have plenty more. I usually buy mine at Merry Pak, however, Mr Price also stocks them, as does Funky bananas, CAB foods and most party stores. -Twine: I bought a huge reel of this early last year from Merry Pak, and it’s still going strong. However, I’m now on the look out for thicker twine for better impact on gift wrapping. -Signs : You could totally do a better job at this than me. This was done in farrr too much rush (as usual) and so didn’t turn out quite as cute as I had planned..But, next year? Next year, its on like donkey kong! However you get the idea behind the signs. Think corporate and typical memos and staff reminders that could apply to staff of the nrth pole. A common one is “Elf Staff Meeting this wednessday. Agenda: Toy distribution”. Have fun with it. -Candy Cane Welcome carpet: Take a long roll of candy cane like wrapping paper. I found a 10meter roll at Mr Price. Still have plenty left over for gift wrapping this year. Santa Hats: R4 at China Town. -Reindeer food: I’m a hoarder of note. (I know I Will eventually use all the crap I keep), so these roast veggie foil tins/disposable bread tins came in handy once more. I used a mix a whole bunch of things that we already had in the cupboard. I try not to buy anything new, but use old stuff. 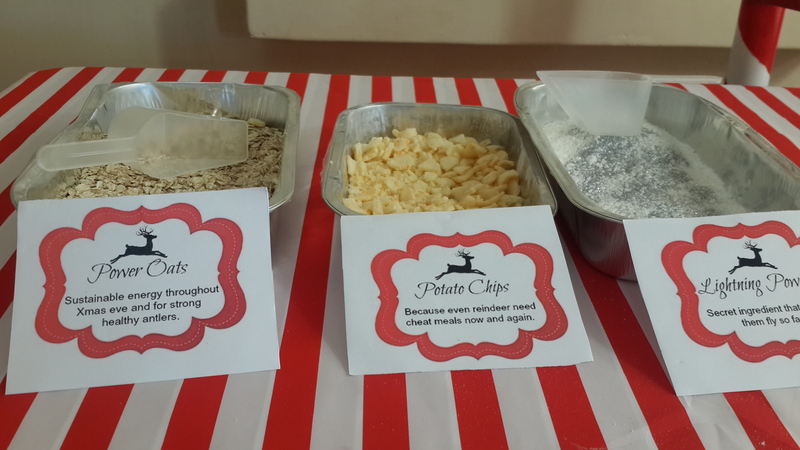 I still had some old baby porridge hidden away, that Pax didn’t enjoy as an infant, some old rough oats that none of us really enjoy, and a bag of chips that had gone stale in the cupboard. And glitter? We always have glitter in our home. You could also use cocoa, breadcrumbs, etc. You get the idea. 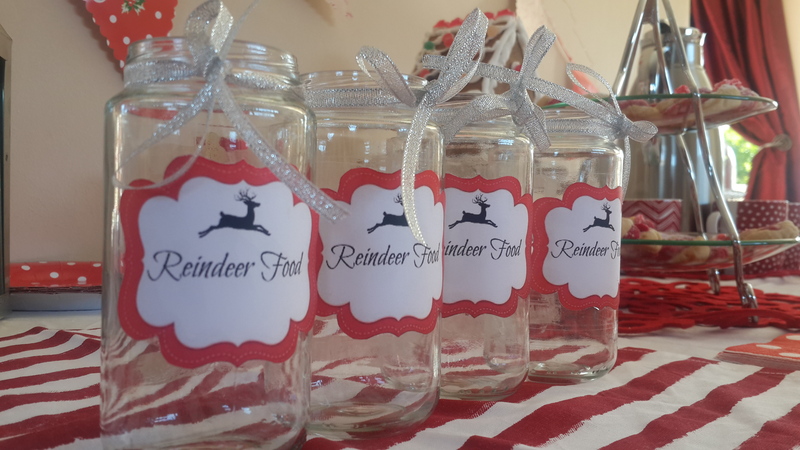 -Reindeer food jars: I upcycled some baby food jars, and pasted my self-designed labels. If you’d like to use them, simply print these labels on an A4, using wallet photo size. -Santa’s magic scroll: I used this template I found here. As for how it came down the chimney? Speak to Santa, that’s his business. 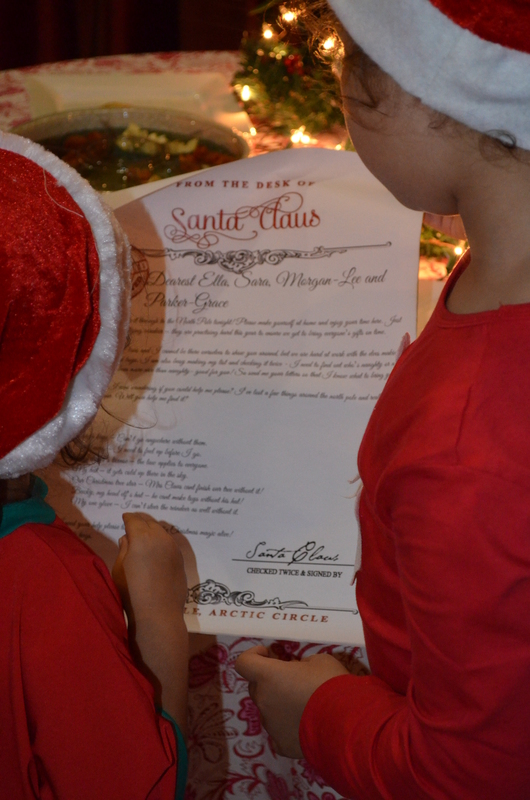 -Scavenger hunt: What did santa lose? 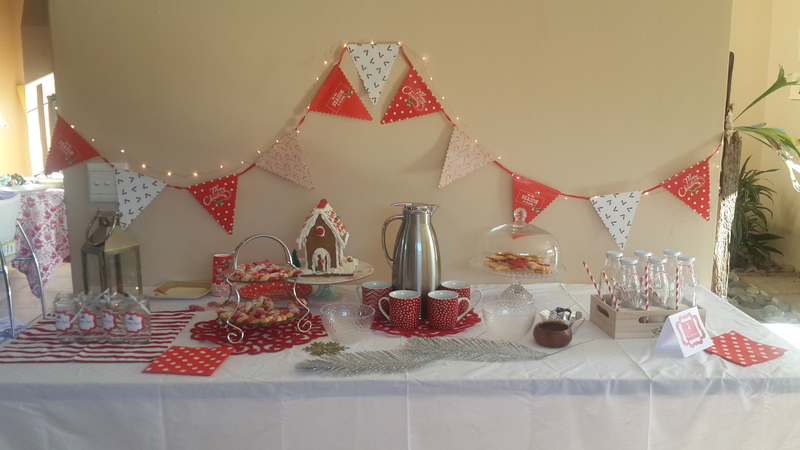 Well Loskop santa lost his sleigh keys, his glove, his hat, his head elf’s hat, his driver’s license, and his cocoa mug. -Paper Snowflakes: I hung them from the ceiling and placed them across the table. I cut those babies out myself. 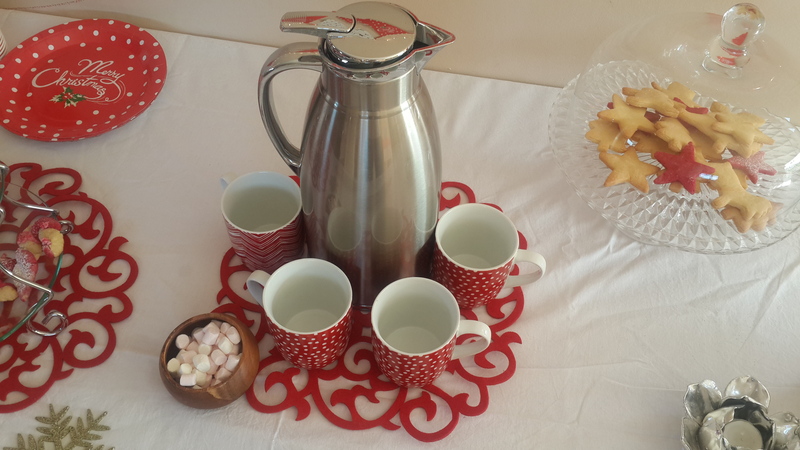 To see how to make your own, watch this space! 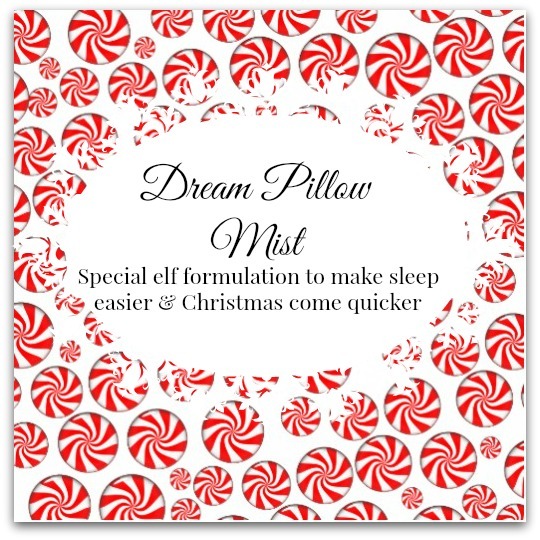 Dream Pillow mist:Special elf formulation to make sleep easier and christmas come quicker. I used wide packing tape to secure this label to the bottle. (R7 at China Town). Click on label image then right click and save the image. 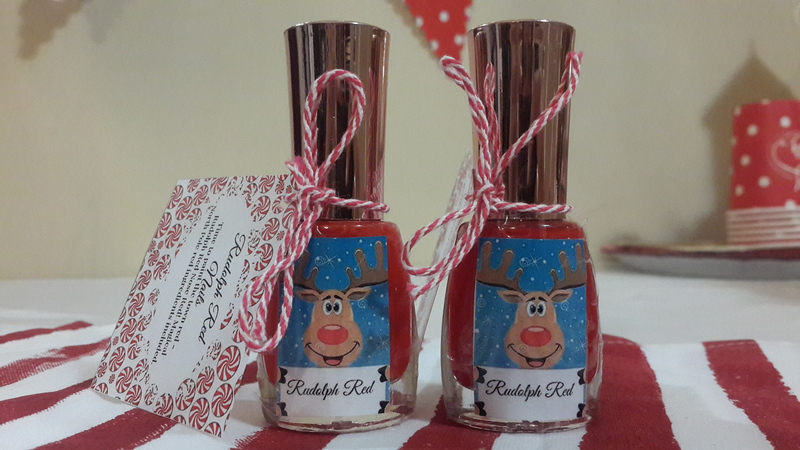 -Rudolph Red – Found these babies at R8 a pop at China town, made this label and this tag to stick on. If you want, knock yourself out and use these free downloads I’ve made available to you. Rudolph Red: Paint the town red ruolph rednose red! 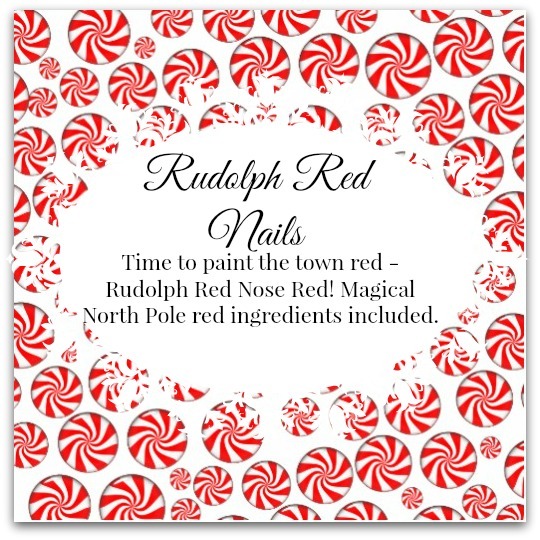 Magical Northpole red ingredents incl. 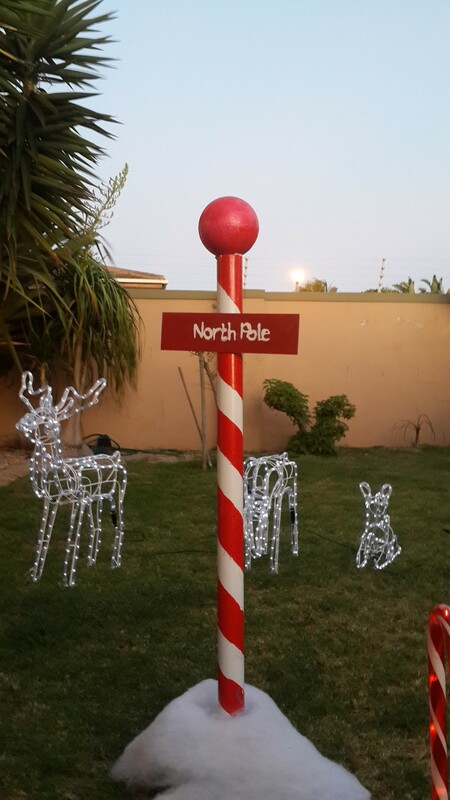 -North Pole sign: this was pretty easy and cheap to put together. Seriously easy and cheap. 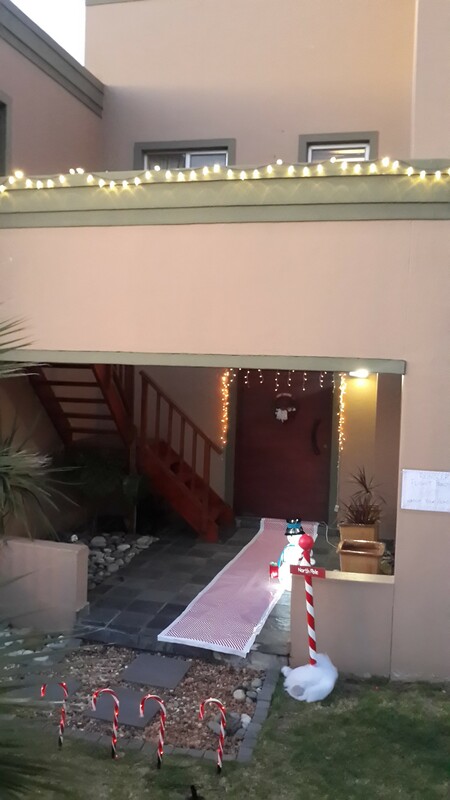 I bought a pvc pipe from Builders Warehouse (R30) spiralled some duct tape around, then used some of the kids red Teddy acrylic paint to create the candy cane effect. I did about two coats of it. I also painted a styrofoam ball ( R21 at P’n A, also available at MerryPak) I bought a thin wooden letter “I” from P’n A, painted it red using the same paint, and free styled “north pole” onto it using the white acrylic paint I already had. I had glued the ball and north pole “board” to the pole, however, the south easter wind took it clean off, so good ol’ prestik did the trick well enough. I secured it inside a small block of cement that I made with quick-setting cement. (small box at Builders Warehouse) You don’t have to use cement, propping it up with stones could work just as well. And the “snow” used here and anywhere else in the house is simply batting (the inner of quilts), cheap-cheap at the material store. -The North Pole 4651 miles poster sign at the entrance I got here. -Food: We kept it light and easy, and nothing heavy on the pocket. 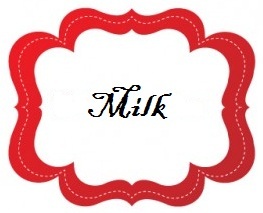 Milk served with my usual Vanilla Almond cookies as well as the Candy Cane cookies that I was sweetly advised about. 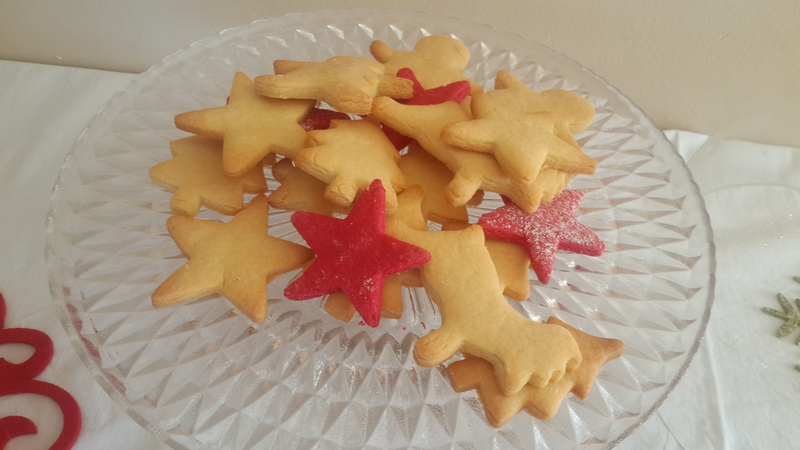 However, I have to say, it’s essentially exactly like my Vanilla almond cookie recipe, except slightly more essence flavouring and slightly less flour, thus giving it a more buttery texture, so that its easier to twist into candy canes. 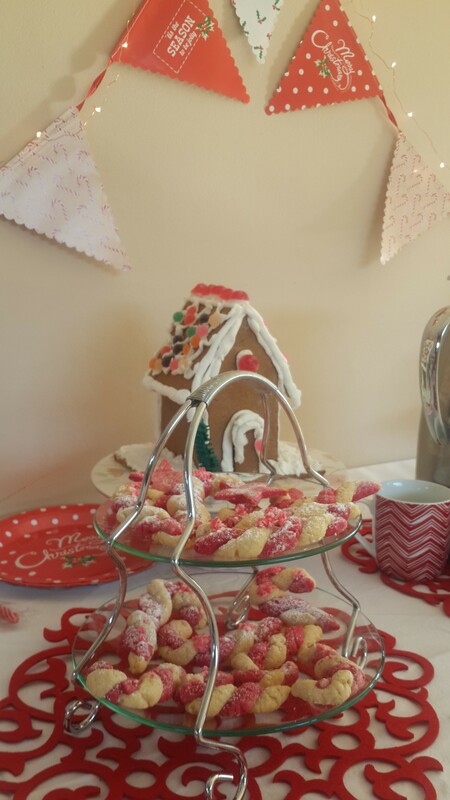 I usually make fondant candy canes this time of the year, for cupcakes and cookies we give to our neighbours, so its very much the same technique I use there. Just be sure to pinch them slightly together as you gently twist it bit by bit. Also another tip: be sure to work with the dough almost immediately out of the fridge after resting it, otherwise its too difficult to work with. We also served up a few pies and then bought about 6 pizzas and hot chocolate. -As for the personal call from Santa? Let’s just say we’re tight like that…and also I hope this santa takes payment in vino, because I have good one just for him! Obviously, this may mean that I may have to break our own rule of adding only one new thing a year, for next year and just invest in a whole bunch of them! And the rest? Well the rest (and the most) of the magic lies within the people who gather together that night! Keep the wonder alive, folks, and let that magic burn wildly in their imagination! 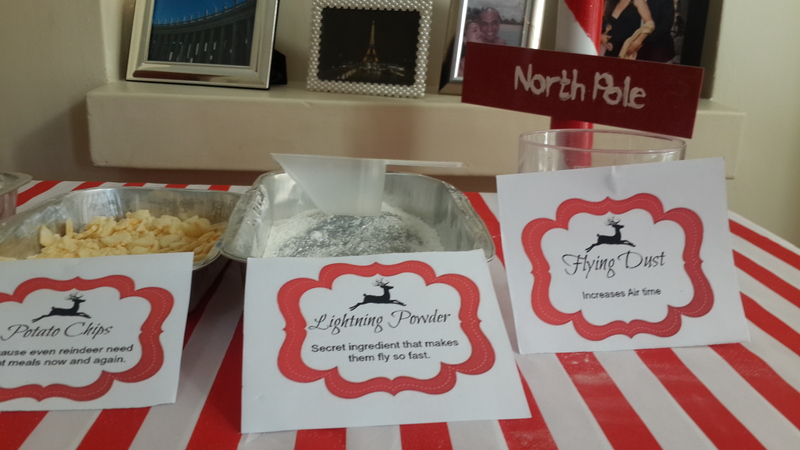 Do you have North Pole Parties? Or what traditions do you have? Always keen to hear what other families do. The night was indeed Magical & enlighten my kiddos of the joy & excitement Xmas brings. Thanks for this great message, recipes, “free” printables and wonderful ideas. I must admit that your Pillow Mist really does the trick. Can’t wait for the recipe 😉 My littlest is teething thus very restless at night and as your God-Child suggested we sprayed his cot & whala, baby sleeping through the night. TG! 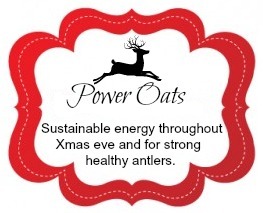 Wishing you a Merry Xmas & Prosperous New Year! So glad your littles enjoyed it. Its for them that we do these things, isnt it? Also thats super awesome to hear about the spray, Fuzzy! 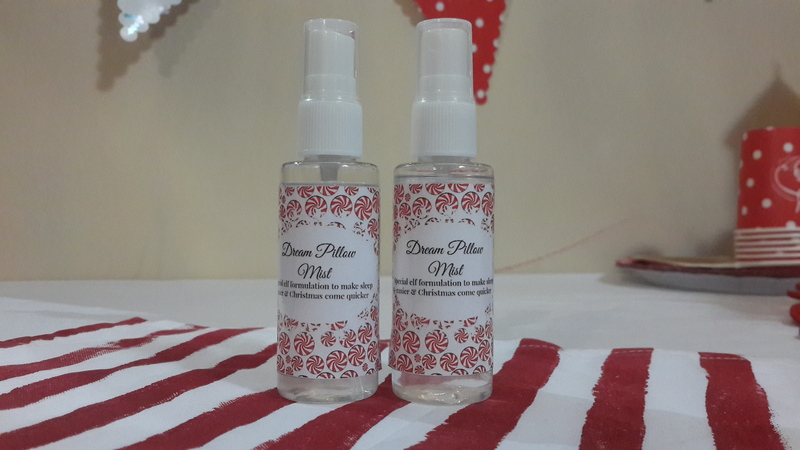 We are also having success with the pillow mist. Essential oils are the bomb diggy!